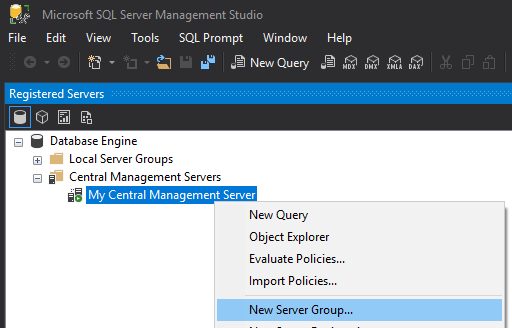 Central Management Servers give us a way to manage a collection of SQL Servers as one, a query executed against a Central Management Server will run against every server in the group. 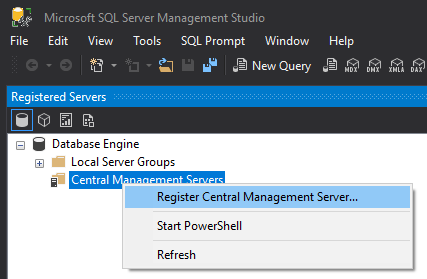 First under registered servers create a new Central Management Server and specify and instance for it to run on. 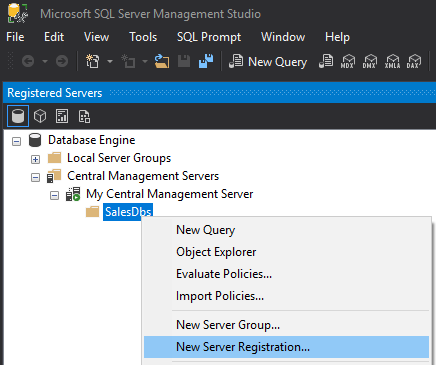 Then optionally create a group for your server registrations to live under. I like to do this to keep things tidy. The results will come back in a single resultset like they have been UNION ALL’d across servers with an additional field prefixed which is the name of the server registration the row has come from.. This can really save time as you get more and more instances to manage, for example people often have a set of morning check script they run on each instance when they come in to work, using this approach of running each script only once without having to connect to every instance manually can save a lot of time.